Yep. This is exactly how I feel. 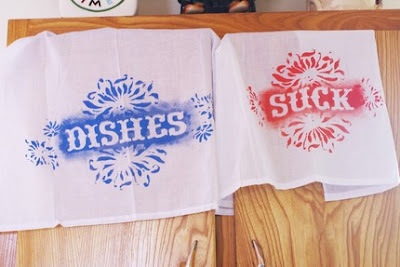 These clever dish towels are by LoudMouse - you get to choose the words & colours!